After you book keep watching for discounts and sales, it is not uncommon in the last few months before your arrival to see a discount on your trip. You can call Disney during the sale period and they will adjust your balance owed to reflect the sale. This can save big money if you stay in a Deluxe resort, save a moderate amount in a Moderate resort, and save a little in a Discount resort. Stay onsite at a hotel or campsite. There are many budget options, but having onsite transportation and early/late access to parks can help a lot. Staying at a Disney hotel or campsite is like getting even more Disney when not in the parks. Everything and every place is oozing with Disney. If you stay onsite, get the Park Hopper option on your park passes so you can do one park in the AM, go back to the hotel for lunch, swim, nap, when it is hottest and busiest, then go to another park into the evening. 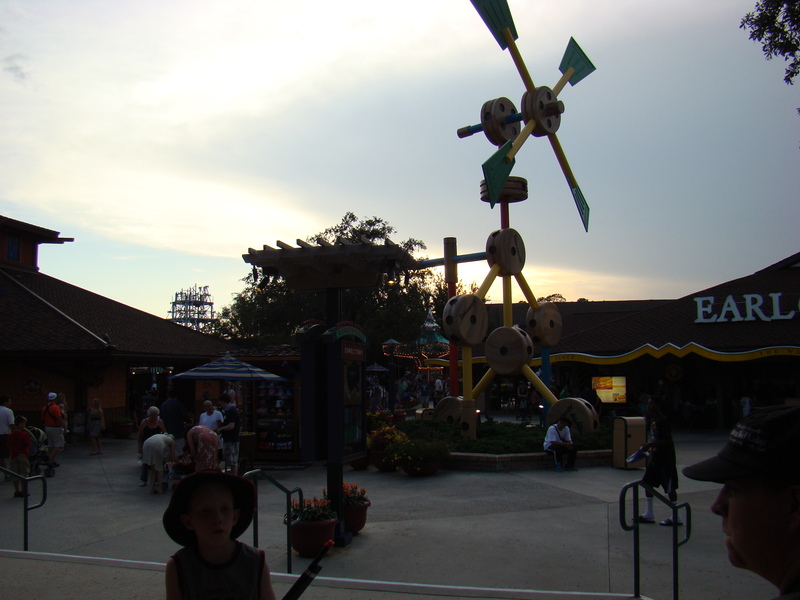 You can also use the park hopper to just visit a park for a few hours just to catch a firework show. If you plan on arriving late in the day on your first day or leaving early on your last day, consider not buying park passes for those days to save a bit, the Disney site will automatically put in park passes for your entire stay. Disney will automatically add water parks to your park pass, they require a full day to visit each one. However most onsite hotels have fantastic pools with water slides etc. Consider taking off the water park add on, and just enjoying the hotel pool so you do not have to take a full day away from the parks. If you have an event like a birthday, tell them at checkin, they will give you a badge and everyone in the parks and hotels will treat you like a king or queen. 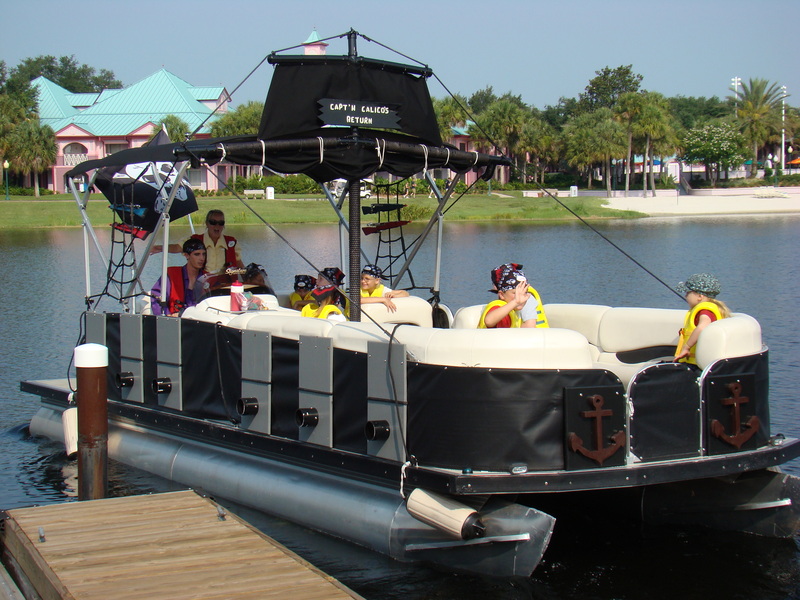 Disney Fort Wilderness campground is consistently rated the best campground in the entire state. Even if you are not visiting Disney, it is still the best campground if you are visiting Universal Studios or other places. Do character meals. 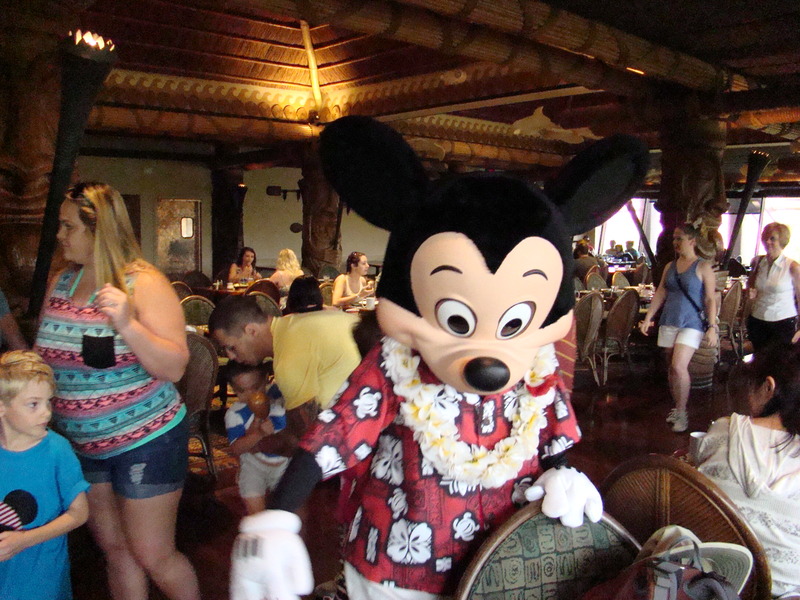 They are much easier and more quality time to get access to the characters than lining up. They also make it a more personal Disney trip. 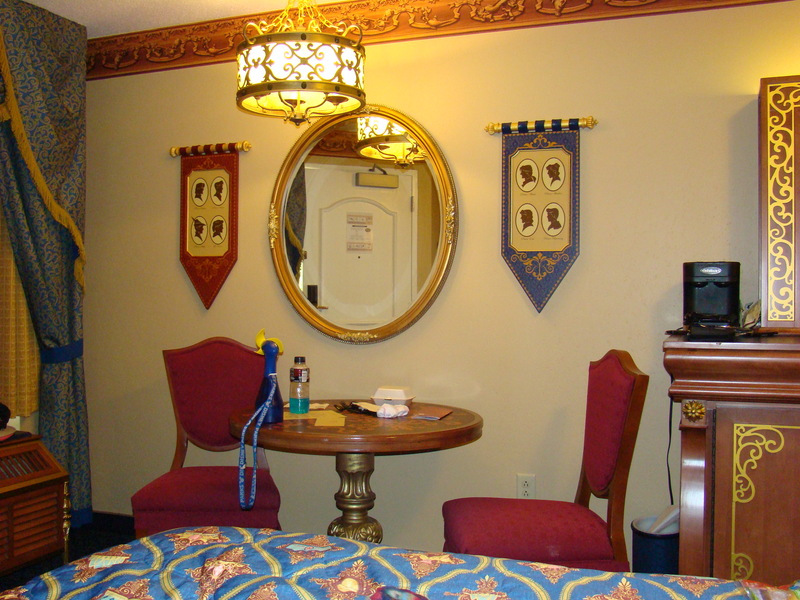 Stay in a theme room such as a Pirate room or Royal room to add even more Disney to your visit. Get a meal plan, especially if staying onsite. This tends to be controversial as to if it is cost effective. If you do a lot of sit down meals it will likely be, but in some cases it may not. However no one can argue with the ability to pay for it in advance as part of the whole package, swipe to pay at the restaurant and being able to reserve a table 6 months ahead. Book sit down meals or show up for quick serve meals off prime time hours. Even with a reservation it is a lot more hectic. Try lunch just before 11am and dinner just before 4pm. The crowds are much lower and it is not hard to get tables. It is important to go before those times, At 11 and 4 the crowds start coming in droves and it will be quite busy for about 3-4 hours. Book meals at some of the other resorts, especially the Deluxe ones. Each one has its own theme, are amazing to see up close and have great restaurants and things to explore. The Contemporary always amazes the kids with the Monorail going right thru and Chef Mickey’s is a great place to meet Mickey. The Polynesian is like going to Hawaii. The Boardwalk is like a piece of Atlantic City. Book quick pass rides well in advance for popular rides and popular times. Don’t waste them on rides that do not get busy. Also do not make them for too late in the day, you cannot make more reservations until you use up the advanced ones. Wait to buy stuff a the gift shops until the last day. That way you will not over spend and you will have seen everything and know what you want. July is quite hot, prepare for heat. You will get some rain, but it is usually a quick 4pm rain storm that lasts 15 minutes. August and September are very humid and have lots of rain, bring a rain coat, don’t be forced to buy one of the ones in the gift shops. It is also a good time to get heavy discounts on the booking like free meal plan. But be warned, it is peak time for hurricanes, however Disney may be one of the safest places in the state to stay during a hurricane, and even during emergencies they will treat you like a king by doing things like bringing the Disney characters to the hotel hurricane shelter. There are festivals and decorations for various seasons, such as Christmas and Halloween which makes the parks feel like an entirely different place. If you are at Fort Wilderness, decorate your site, many others will be too. Downtown Disney is free Disney. There is lots to do and it feels like being in the parks. Teach the kids that if they get separated, they must STOP, climb up on a bench or ledge near by and blow the whistle and stay put. Tell them to only move from that spot with someone with a Disney name tag. It will not take park staff long to find them, they are experts at noticing lost kids.